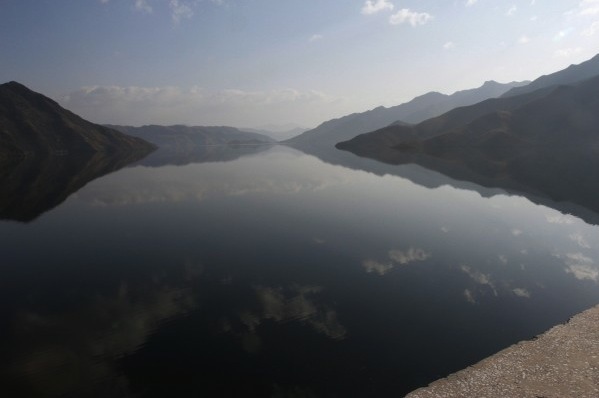 Clouds are reflected in a reservoir beneath the Huichon Power Station during its opening ceremony on April 5, 2012. (Photo credit AP Photo / Kim Kwang Hyon). Mention North Korea and a few associations come to mind: nuclear weapons, human rights, famine, weird family dictatorships. It’s often called the most isolated country in the world, the most communist country in the world, the least free country in the world. These superlatives are typical descriptors of North Korea for most, and since few people have any opportunity to engage with North Korea outside of the traditional news media, other conceptions of the country are mostly neglected. But we here at OneKorea are all about providing new perspectives on the peninsula. We want to enrich your understanding of important issues such as human rights and unification, but we also want to offer entirely new ways of seeing the country. So here’s a new thing to think about when you think about North Korea: ecological sustainability. You’ve probably heard of “carbon credits”; this is the common name for Certified Emission Reductions (CERs) available after the Kyoto Protocol. They allow countries that have met their emissions targets to sell emission reductions under that target as credits to countries that have not; this provides an economic incentive for developed countries to reduce emissions, since otherwise they will have to pay a premium to buy CERs to meet their target. North Korea, as a developing country with very few emissions (mostly due to its lack of industry) has a big opportunity in the carbon market to develop clean energy sources and earn foreign currency through emissions trading with governments or private companies in industrialized countries. By building clean energy projects such as the hydroelectric plants, which have some of the the cleanest energy, North Korea is able to register for carbon trading under the UN Kyoto Protocol. To that end, North Korea recently completed a massive hydroelectric dam. Beyond producing enough electricity to supply half of Pyongyang’s needs, it is also a major source of emission reduction credits for the impoverished country. The dam is the largest public works project completed in North Korea since the 1980s; there are 12 other stations in the works to be completed by 2015. The large hydroelectric Huichon No. 2 dam was completed two months ago. The drought has put production below expected capacity. (Photo credit AP Photo/David Guttenfelder). 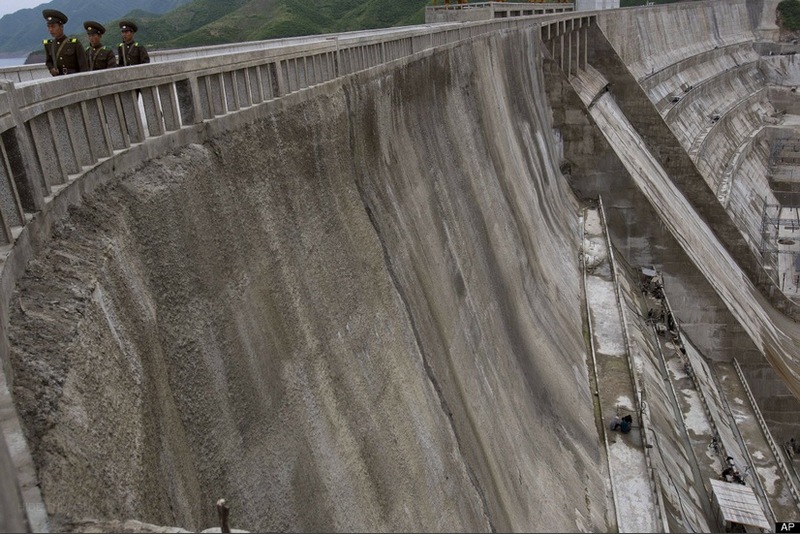 The current drought in North Korea has reduced the flow of the river feeding the dam to very low levels, limiting the hydroelectric capacity of the dam for the time being. Still, the dam and its soon-to-be-completed siblings could help reduce enough carbon emissions to generate millions of dollars in revenue for the North Korean state, and the state desperately needs more foreign currency. The US embargo on trade with North Korea has given many potential buyers pause; however, a contract was recently concluded with a Chinese conglomerate that needs credits to offset pollution from facilities in Europe. It’s a good sign for North Korea’s prospects for a clean energy economy. It should be noted that the dam isn’t all sunshine and good news; there are reports, for instance, that construction workers on the dam sometimes used their bare hands to dig. Still, the clean energy projects of this “backwards” nation are a contribution to a better future for the planet. At least in some ways, North Korea is making the world a greener place. This entry was posted in Articles and tagged CER, clean energy, dams, energy, green, human rights, Jay, kyoto protocol, McNair, media, north korea, nuclear, onekorea, south korea, sustainability, unification, weapons by MOUonekorea. Bookmark the permalink.